LOOK WHO THEY LET INTO GUILIN?! 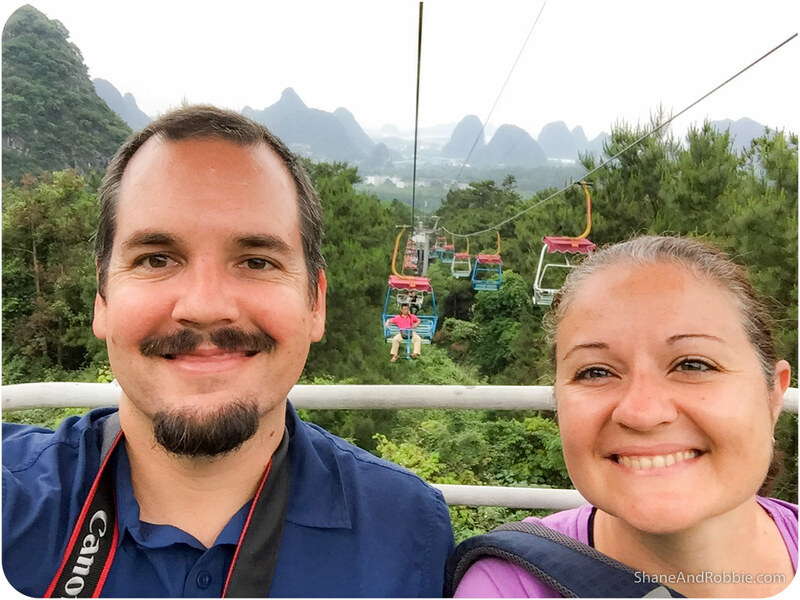 *The visa application process was so lengthy and complicated that it really was a relief when the immigration officers at the airport here in Guilin let us into the country! 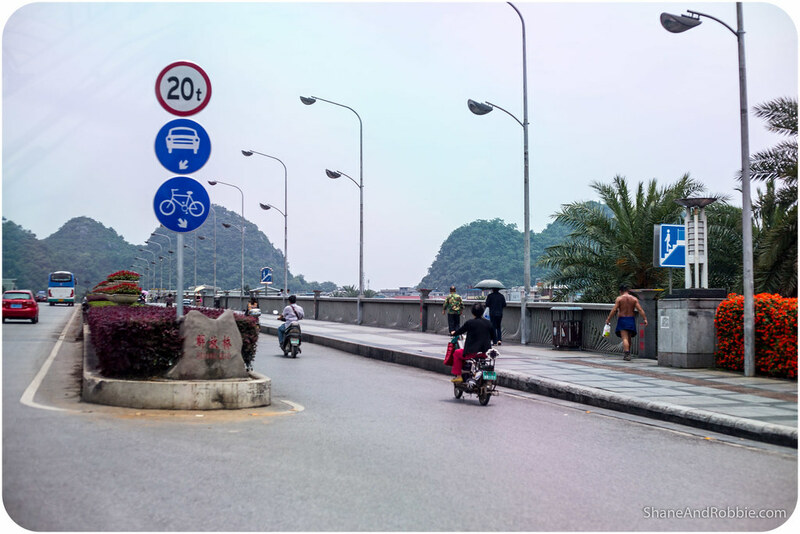 Built along the banks of the Li River, Guilin is a small (by Chinese standards) city (population 850,00) that lives off tourism (because of this, we’ve been told, the city is far cleaner than most in China). Its name means “Forest of Sweet Osmanthus”, owing to the large number of fragrant Sweet Osmanthus trees all over the city. 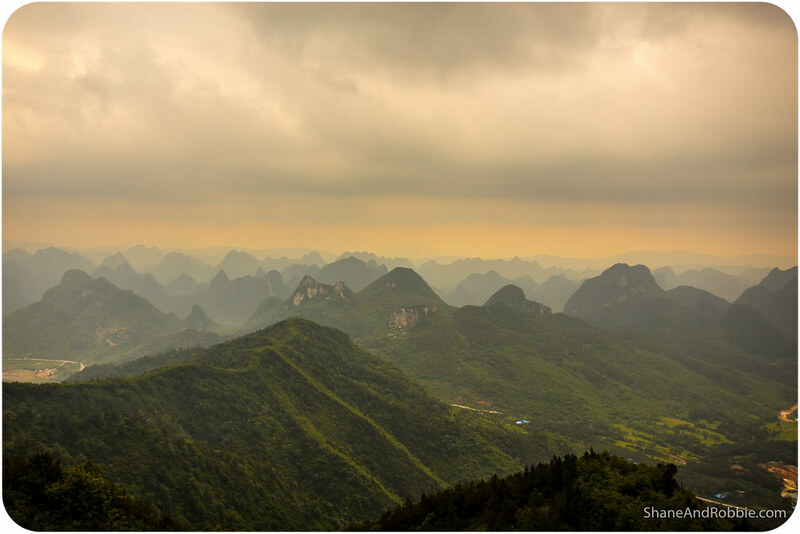 Driving through the city today we got the impression that Guilin is quite wealthy as a city – the roads are wide and clean; there are lots of cars on the roads; and there are also an incredible number of new high-rise buildings being built everywhere. The city still has something of the “third world” about it, but it’s not as chaotic, dirty or busy as we had feared. This part of China is one of the most visited areas and therefore one of the most photographed. 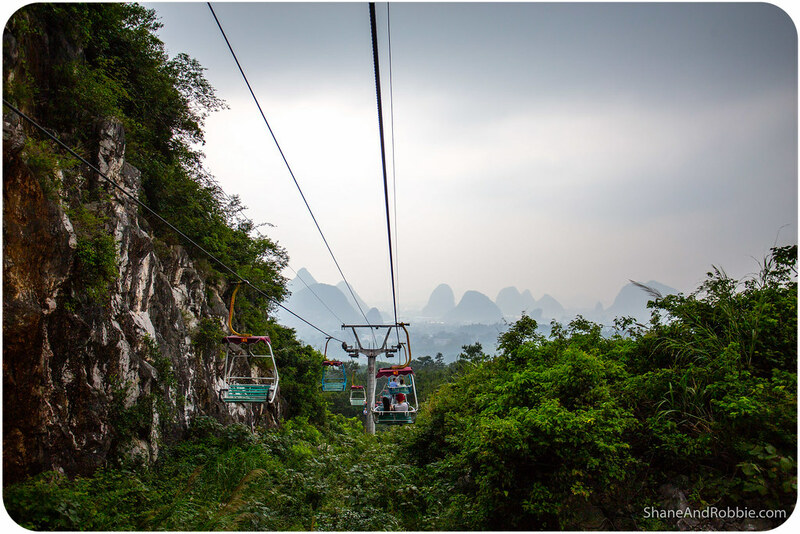 People from all over China and the world flock here to see the Li River and Guilin’s famous karst topography. 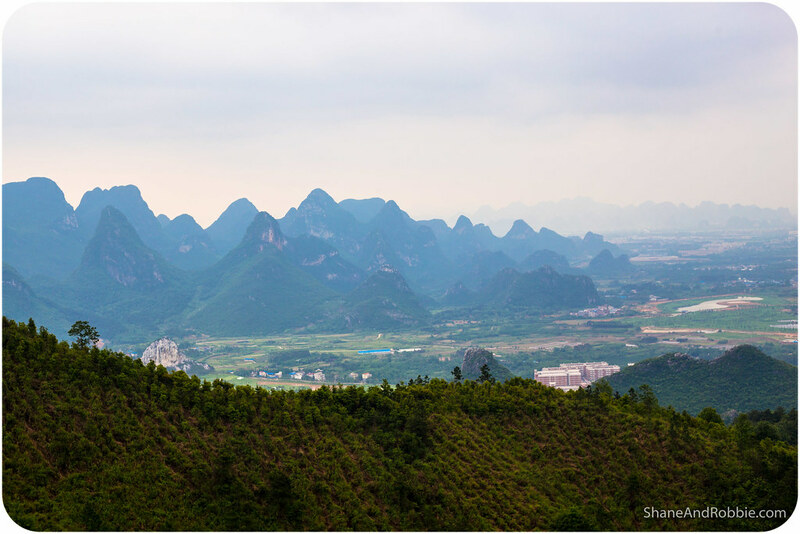 The sheer-sided calcium carbonate peaks dotted all around this part of China are the remnants of an ancient sea bed. 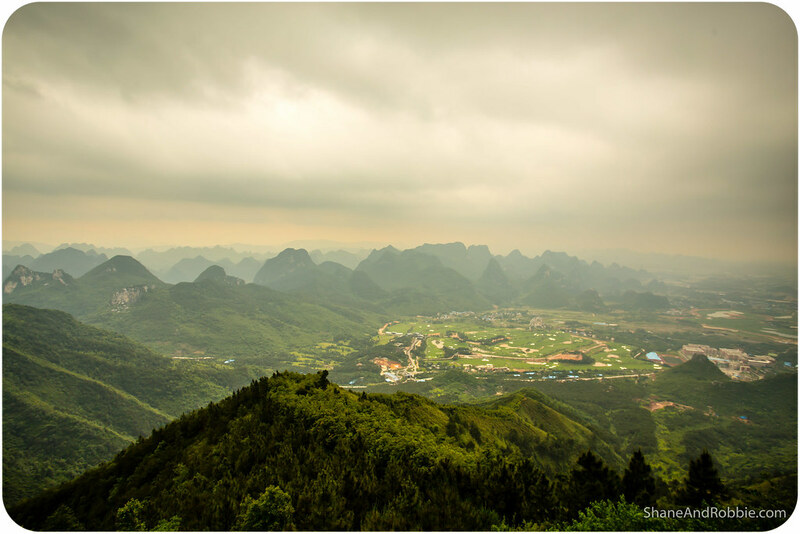 Today they are Guilin’s biggest draw card and the reason 45 million* tourists just like us flock here each year. *That’s 40 million Chinese tourists + 5 million foreign tourists – the numbers of “local” tourists travelling around China is just staggering! We learned all about the unique landscape of Guilin from Peter*, our guide. 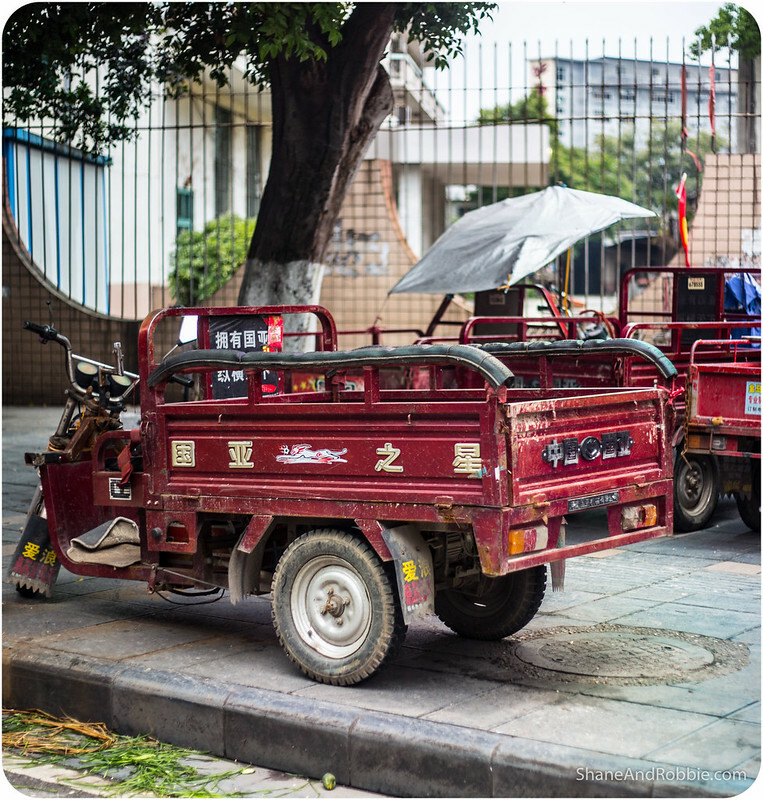 We decided to see China with the help of local guides in each town/region, just to help us get the most out of the short time we’ve got here and to help us navigate the language and cultural barriers. 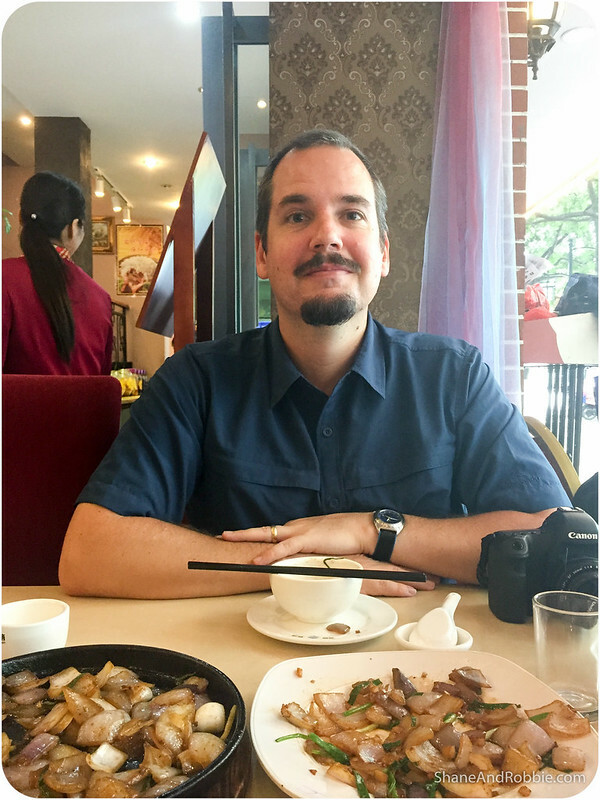 So far the idea if really paying off – Peter helped us avoid a potentially nasty run-in with a meal we were not ready for on our first day in China! We arrived around lunch time and went straight for a meal. The menu had pictures, which was great, but stir fried protein and veggies all looks the same really. We chose a dish that looked interesting and tasty, only to have Peter point out to us that this was “Tiger & Dragon” which is code for “Cat & Snake”. We’re not averse to the occasional food adventure, but wok tossed kitty with a side of cobra meat was a little too much for us. Peter decided the place next door might be more suitable for our Western palates. 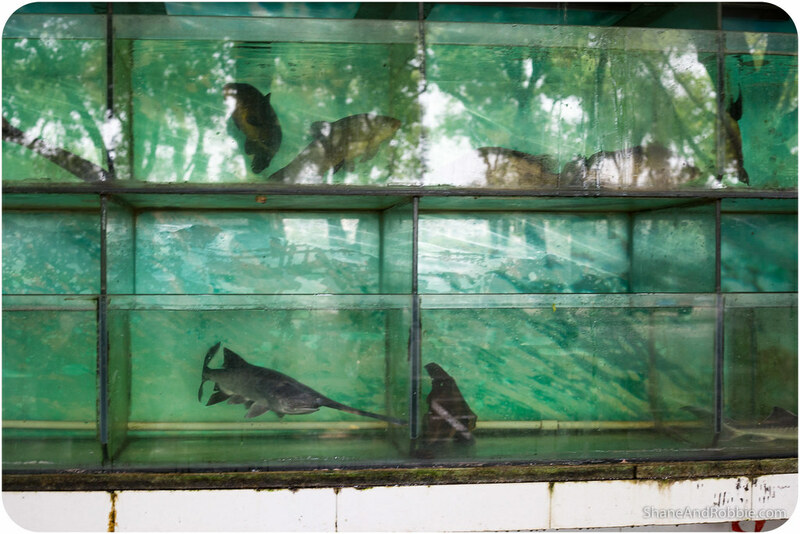 This place had fish tanks full of local river fish – you picked the one you want and they fry him up for you. 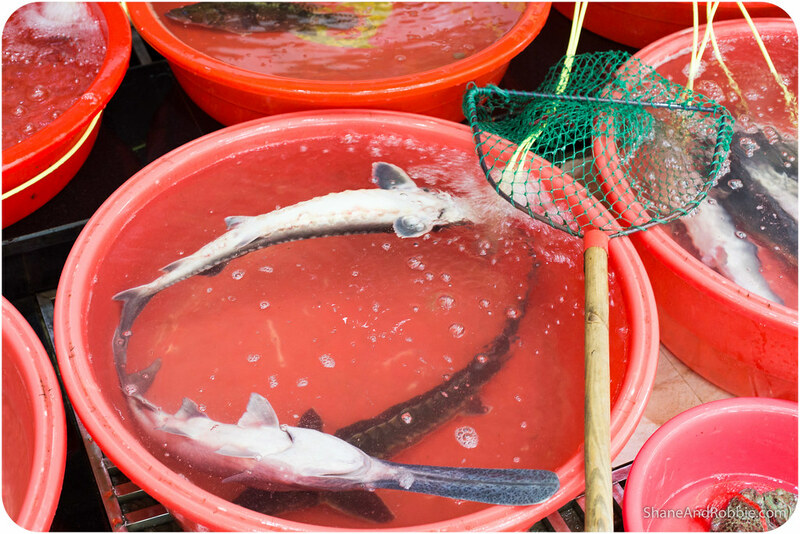 It’s always a bit real when you have to look your lunch in the eye before eating him, but we thanked the weird-looking river fish for sacrificing his life so we could eat and munched on. Our friend the fish was very tasty, fired up with LOTS of onion, garlic and chilli, as is the custom in this region. *Not his real name – that’s the English name he’s given himself to help guailo like us. He’s a lawyer by day and an English-speaking tourist guide by night and so far he’s answered all our weird and intrusive questions with suitable aplomb, so the next few days should work out well! 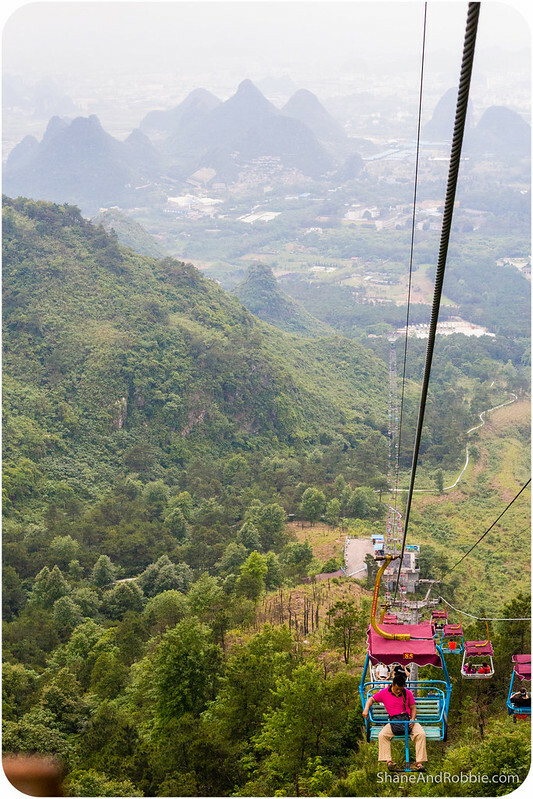 After lunch we headed up to Yaoshan Mountain to ride up the chair lift and enjoy some views of the surrounding landscape. 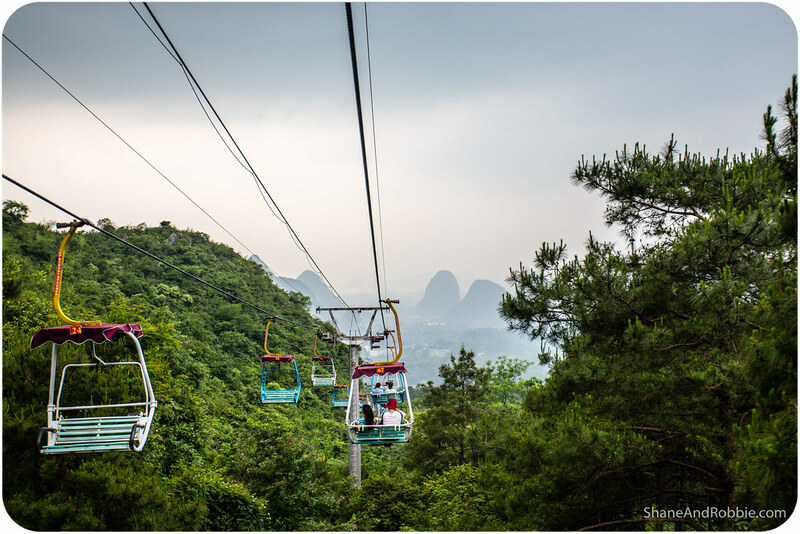 Situated just behind Guilin town Yaoshan is the highest peak in the area; the 1.5km long chair lift that we rode up the mountain took us up to 903m above sea level and offered us a great bird’s-eye view of all the wonderful karst peaks and surrounds. We were fortunate enough to get some sunlight whilst we were up on the mountain too, which was amazing as it painted the clouds golden. 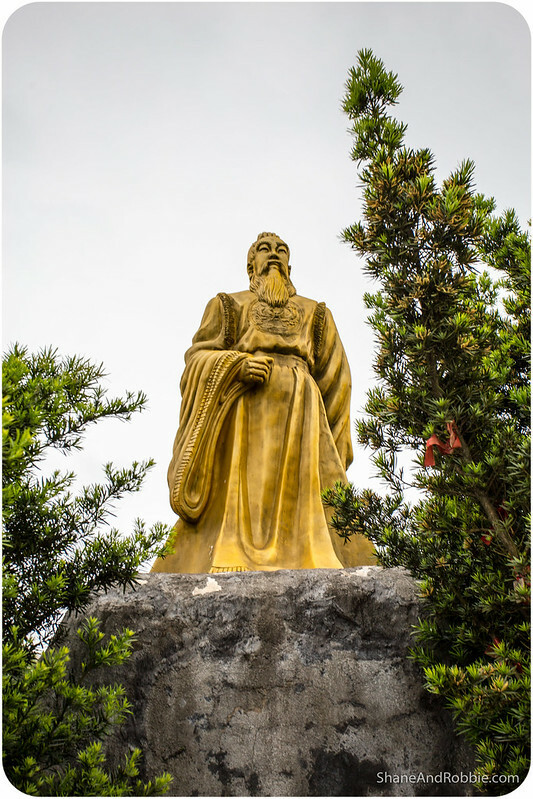 The peak is named after the Yao emperor, whose tomb was uncovered some years ago at the base of the mountain and whose statue stands at the top. 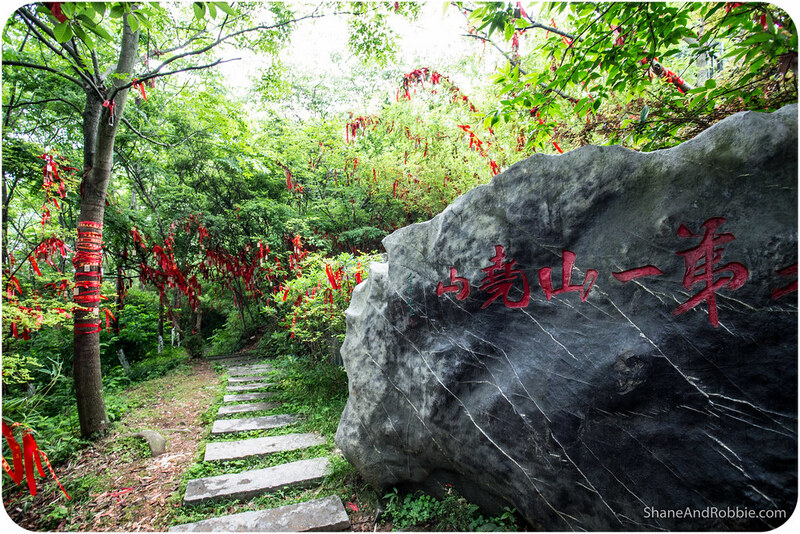 There is a temple at the top of the mountain which tourists are not allowed to visit, though we did get to see the garden where you can buy a red prayer flag and tie it to a tree. The contrast of the red ribbons against the vivid green of the trees was beautiful. The worst part of the visit up to Yaoshan Mountain, however, was when our guide took us into a little hall that had loud techno music blaring out of it. We sat down with all the other (Chinese) tourists and then the flashing disco lights started and the show began. “The show” was a seriously kitsch display of traditional Zhuang* dancing. The costumes were lovely, but the way the whole thing was presented was SO BAD. Unspeakably bad. We didn’t want to seem unappreciative though so we smiled and clapped along with everyone else. *The Zhuang are an ethnic group that have traditionally lived in this area. 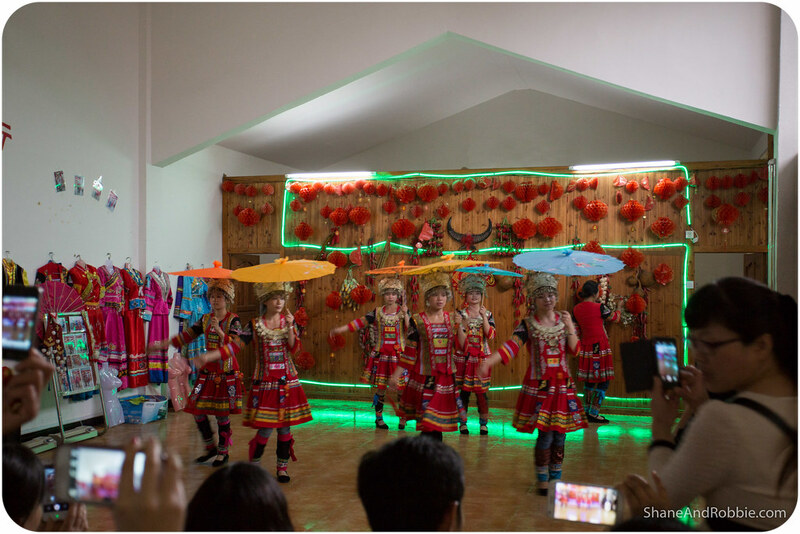 They still make up about 35% of the population in Gulin and their customs and traditions are part of the appeal of visiting this area for Chinese tourists from other regions. 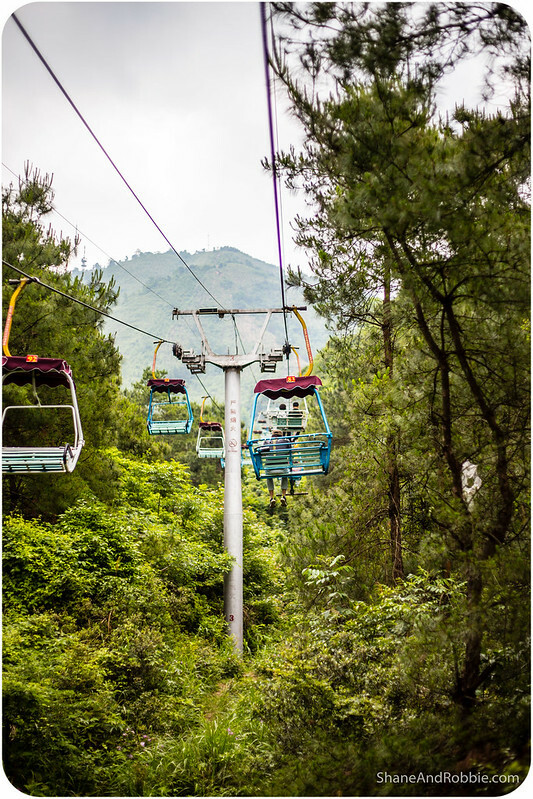 After making our way back down the mountain on the rather rickety chair lift we were taken to our hotel to check in. The hotel we’re in is nice enough; sort of “1982 sparkly glamour” meets “gentlemen’s club” décor. Main thing is it’s comfortable and we have all the mod cons at our disposal. 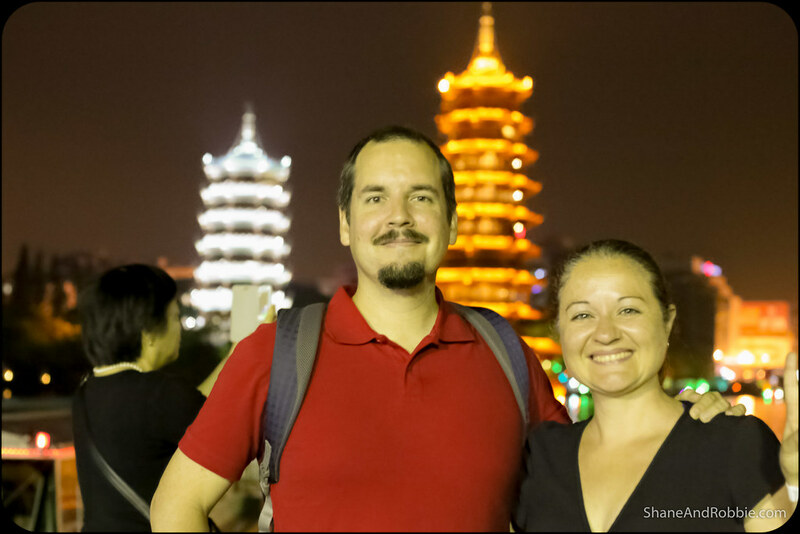 After dinner we went for a stroll through Guilin, down along the Li River and across to Shanhu Lake to see the Sun and Moon Pagodas. 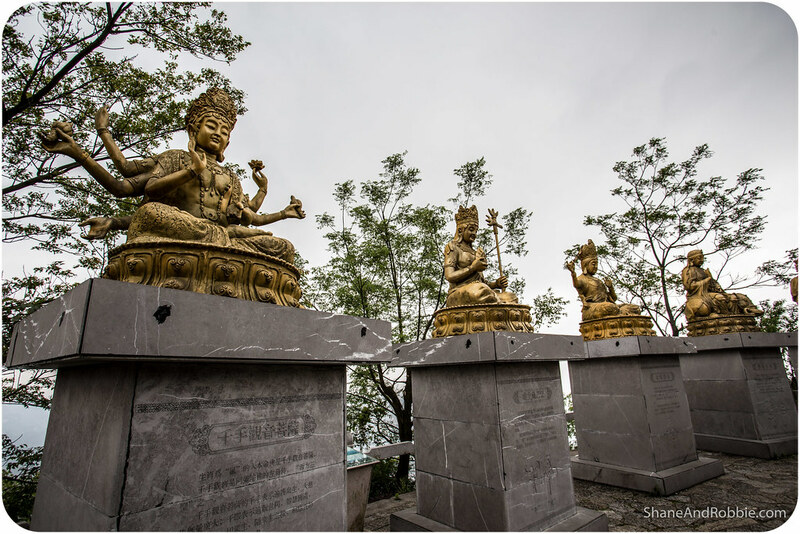 The Sun and Moon Pagodas are a modern reconstruction of pagodas that were destroyed during World War II when the Japanese invaded this part of China. At 9 storeys and 41m high the Sun Pagoda is the tallest copper pagoda in the world. 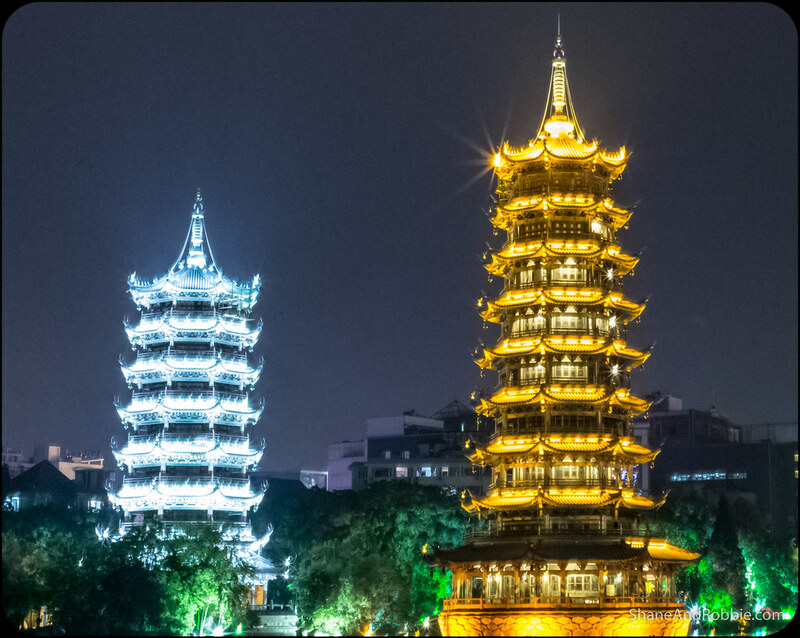 The moon pagoda, on the other hand, stands 7 storeys high and is designed to represent the feminine yin to the Sun pagoda’s masculine yang. Both were beautifully illuminated and reflected in the waters of the lake and made for a great photo stop before heading back to our hotel. 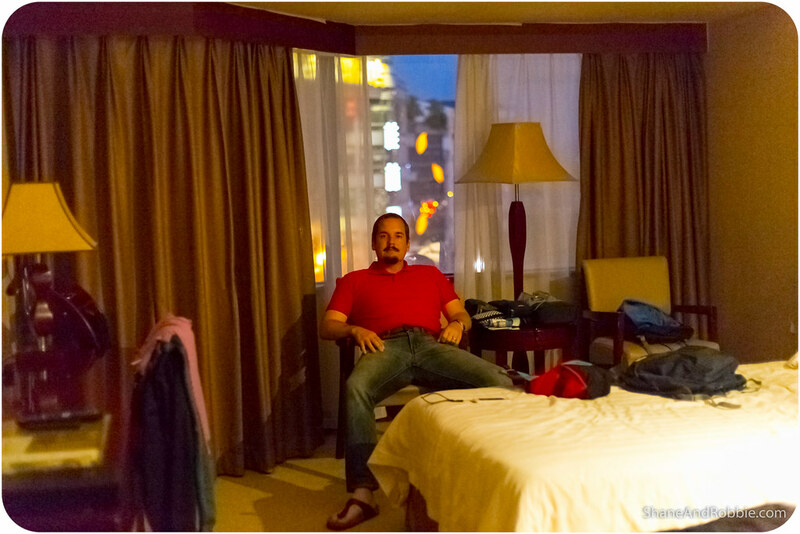 And thus ends our first day in China. This country is huge and there is soooooo much to see here. 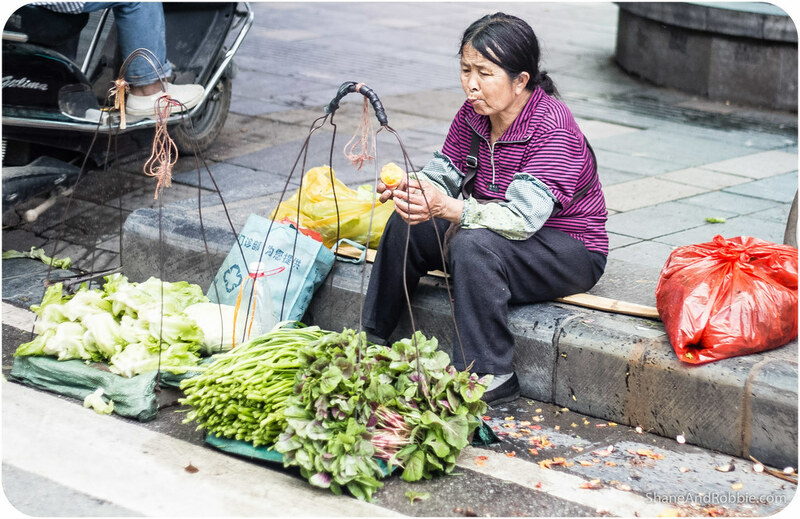 We know that in a month we’re only going to scratch the surface, and by doing it all with guides we’re no doubt going to get quite a “sanitised” version of what China has to offer. Still, we’re just excited to be here and to be able to see what we can of this incredible country. Did you try the Tiger & Dragon or did Peter steer you clear before ordering? Cat and snake is not a culinary combination I had thought of before.